Some mistake, surely? 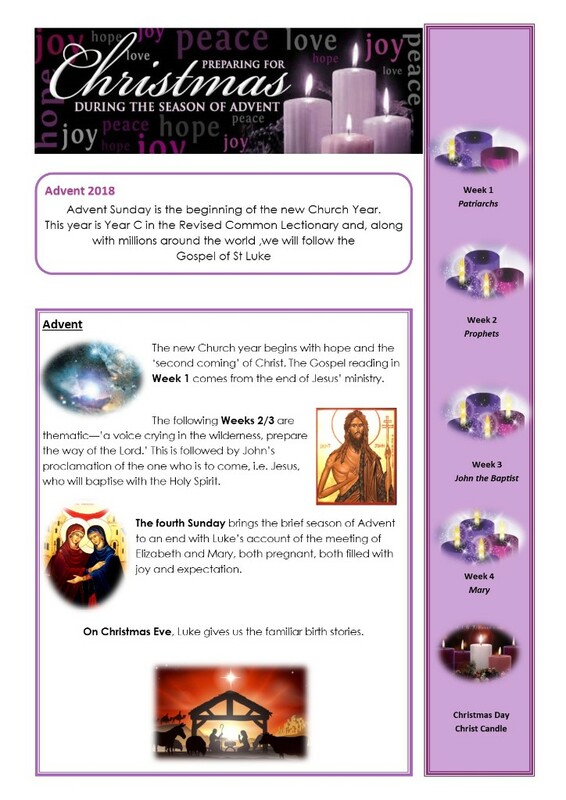 No – Advent Sunday ushers in the new liturgical year in the Church. This year we, along with millions around the world, will be following the Gospel of Luke. 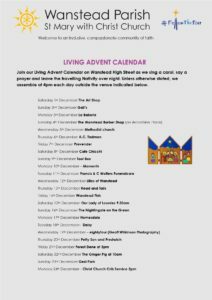 We have a busy calendar of events planned, including our daily Living Advent Calendar which started on Saturday – find us around Wanstead High Street every day at a different venue. 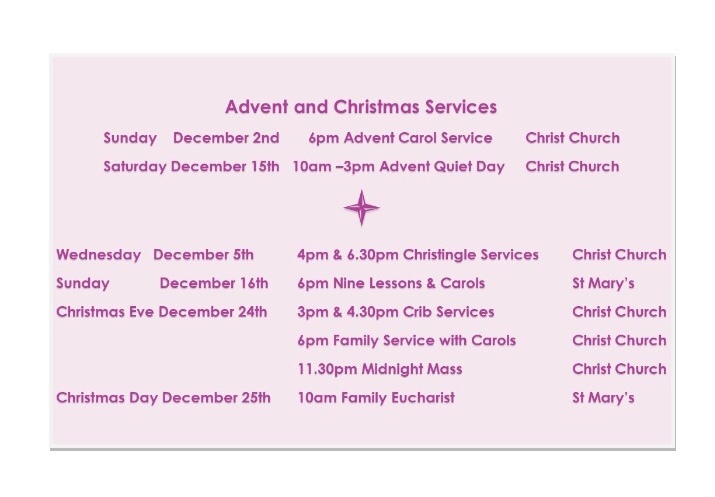 Join us today, Sunday 2nd December, at 6pm in Christ Church for our Advent Carol Service. Tuesday 4th December sees the parish halls decked with holly and other greenery, ready for the Christmas wreath making evening. There are still a few tickets left – contact the parish office if you’d like one. On Wednesday 5th we hold not one but two Christingles – at 4pm and 630pm. Lovely services, most especially for children. Sunday 9th December at 4pm the East London Chorus will be performing a carol concert – all welcome in Christ Church.